Kenfortes Spiritual Art Meditation Center fine arts classes in J P NAGAR, Bangalore for adults, college students, children. the art course includes drawing, sketching, coloring, oil painting, paper crafts, model making & designing. 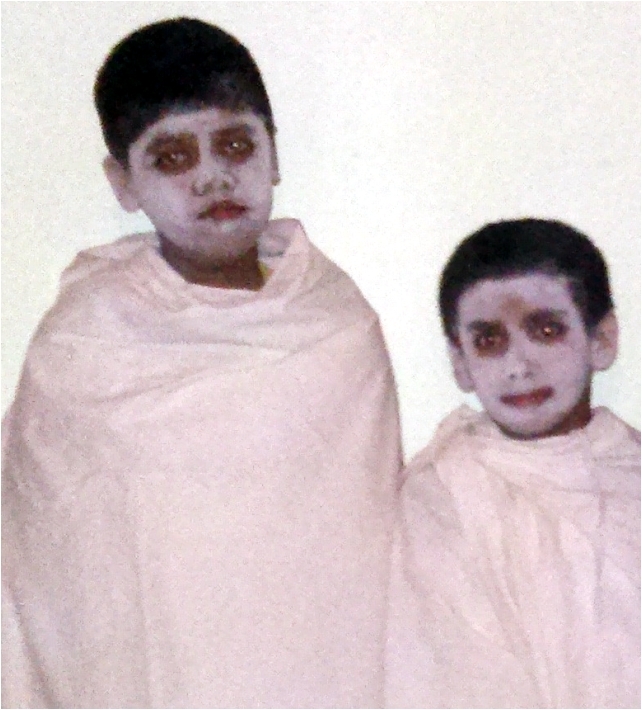 Two kenfortes art students from Btm layout visited jp nagar class to perform in the drama play. 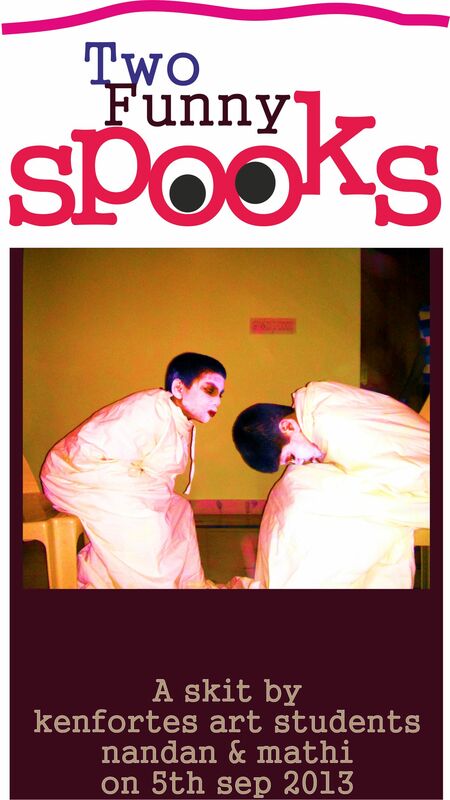 Make up and costume design for spooks by Mr suresh added more beauty to the skit . Two spooks emerges out of the graves and does many funny things, be here to watch our next skit in the month of october . Those who attended are looking forward to attend and also to be part of the skits , integral art and therapeutic art programs. we thank all the students for the participation and parents for encouraging their children.